Organic Sprouting Seeds - Wholesale Broccoli Seed Production Was Once Patented! 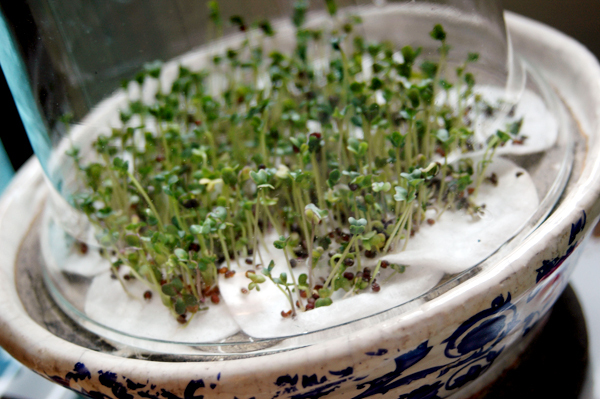 In 1997, Johns Hopkins University released new found information from their study on Broccoli sprouts. It turned out that Broccoli sprouts had 20-50 times more antioxidants than full grown broccoli. That meant that you would have to eat 1 to 3 pounds of broccoli to get the same amount of antioxidants as 1 ounce of broccoli sprouts! This was big news in the health food world. Overnight broccoli seed became very hard if not impossible to come by. What surprised everyone more than the research itself was what followed shortly thereafter. Within a short time, it became known throughout the sprouting and health food world that the doctors that had performed the research had formed a corporation by the name of "Brassica Protection Products" and had patented the process of sprouting broccoli! With this patent in place, the sale of all seed intended for sprouting and the production of all broccoli sprouts had to be licensed by Brassica Protection Products. BPP then started suing those who refused to comply with the patent and many sprout producers stopped growing broccoli sprouts for fear of litigation. This also caused some hard feelings between sprouters. Those who complied with the patent and purchased a license felt a bit cross with those who didn't and felt that they should be compelled to do so. Those who hadn't given in to the pressure to comply with the patent felt that the license holders were sell-outs. BPP sued five sprout growers and one seed supplier in the year 2000 and ended up teaming up with Green Giant Fresh Inc. which gave them deep pockets and made it difficult for anyone to win against them. Since, patents are presumed valid in a court of law, they can only be overcome by convincing evidence. In order for the sprout companies to receive a summary judgment, they would need to provide evidence that was irrefutable. The court would need to rule in favor of BPP if there were any questions as to issues of fact in the grower's case. In the end, the sprout growers won the case which was not disputed by BPP. The Judge ruled essentially that it was ridiculous to try to patent a process that has been naturally occurring for ages. Naturally, this came as a relief to sprout growers all over the nation and perhaps a few house wives as well who could again start growing their broccoli sprouts in the kitchen instead of the cellar. If you would like to purchase broccoli or other seeds for sprouting, or are a retailer wishing to purchase sprouting seed for resale, please visit our website at http://preparednessseeds.com.